A rare opportunity to invest in the last waterfront plot in Liverpool City Centre, delivering 7% NET returns for 3 years. Phase 1 already generated 20% capital growth in one year. Don't miss this rare opportunity to invest in the last waterfront plots in Liverpool city centre. Parliament Residence is located in the heart of the UK’s fastest growing property market, with the city recording over 40% capital growth in the last three years alone. 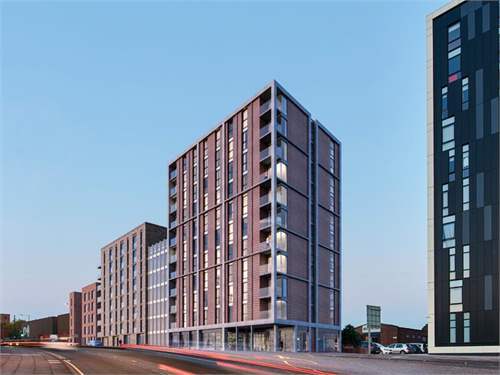 The project is minutes from Liverpool One, the Commercial District and the Albert Docks. It has already generated a tremendous response since its launch, with Phase 1 generating 20% capital growth in one year (June 2016 to June 2017). Investment in Phase 2 of the development starts from £119,950 for a 250-year leasehold - a discount of 15% below market comparables. The waterfront apartments deliver 7% NET yield for three years, and a total ROI of 68% over four years. With all apartments managed by the UK's largest estate agency group and the development already under construction, Parliament Residence provides an exceptional growth and hands-free income vehicle for experienced and first time investors alike. Act now to secure one of the limited units remaining.